Like every year, Apple will be hosting its annual launch event on 12th September. This Apple event will take place at the company headquarter i.e the Steve Jobs theatre in California. The company at the launch is expected to showcase three iPhones, along with new iPads with Face ID, as well as the new AirPods 2 and the latest Apple Watch Series 4. The availability and pricing announcement will be precisely anticipated but given Apple's pricing in previous launches, this time the company is expected to launch the phones at a higher pricing that could cross $1000 mark for the iPhone Xs Plus. Apart from the products, Apple will also showcase its latest iOS 12, along with Apple A12 chip that will be powering the 2018 iPhones. The following description will let users know how to catch the Apple event Livestream along with the Apple keynote event and see what devices will be launching at the 2018 edition of Apple's launch event. 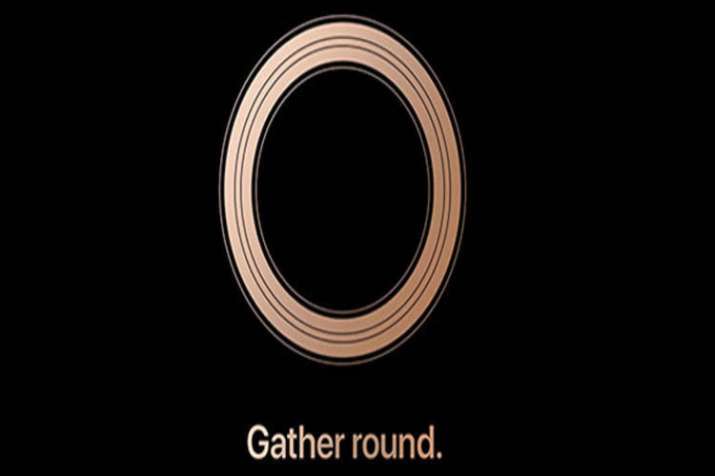 Apple has already sent out the launch event media invites that features 'Gather Around', below the 'O' shape, which establishes that Apple will be showcasing the new iPhones, iPad and the Apple watch at the Steve Jobs Theater, which is the part of the Apple headquarters in California. The launch event will commence with the keynote address and the Apple event live stream is scheduled for 10 am PDT. Apple event timing in India would be 10.30pm IST. Apple keynote event live streaming won't be available on channels like YouTube. People who already own an Apple device like an iPhone, iPad, Mac or iPod will be able to stream the event via Apple TV app and others can browse the Livestream link via Apple website on Safari browser. Windows 10 users will have to stream the event through Edge browser. The Apple iPhone launch event will include three new iPhones, one with a 6.1-inch LCD display, whereas the other two would be the high-end premium models with OLED display upfront. But considering the latest reports, the LCD model could be delayed, and might not see its way at the launch on September 12, for which we will have to wait and watch. Getting on with the two OLED models, one would come with a 5.8-inch display, whereas the other version will be the premium variant that might sports a 6.5-inch display. There have been reports that the OLED models will be called the iPhone Xs and iPhone Xs Plus and the one with LCD panel would be called the iPhone 9, or iPhone Xr. The iPhone Xs and iPhone Xs Plus would sport a dual rear camera setup, similar to that we have seen in the last years iPhone X, whereas the iPhone Xr could come with a single rear camera. The new iPad Pro (2018) models are likely to launch, and reports suggest that they might feature a USB Type-C port rather than the Lightning connector. The 12.9-inch variant could come with Face ID and might come with a Home Button, minus the 3.5mm audio jack. If rumours are to be true, the iPad Pro 12.9 (2018) might use the A12 or A12X chipset. Leaks and other reports suggest that the Apple Watch Series 4 would come with a larger display, for more information. The screen will be able to manage almost eight widgets and Apple might abandon the physical button and could replace it with an SSD ( solid state drive) button, based on haptic feedback.